Sundae is as sweet as sugar and loves a bit of glitter. 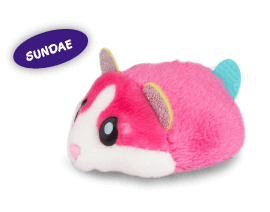 She always say’s “an ice cream a day and the hamsters will play.” Every Sunday, you will find Sundae and her sister Scoops chilling out with their friends. Ham is known for the best HAM-burgers in all of Ham-tasia. Her diner brings the community together for delicious food and lots of laughs. 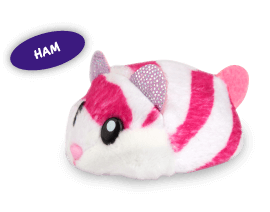 Ham is a hard worker and loves being a HAM-preneur. 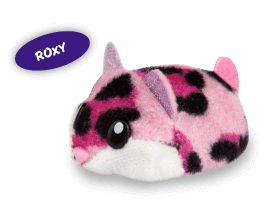 Roxy is so foxy! She’s berry cute and her cooking is spot on. 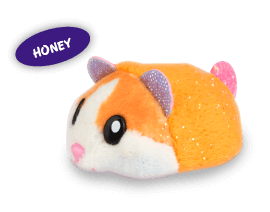 She zooms into the supermarket and scurries around to find everything she needs for all of her HAM-tastic snacks. 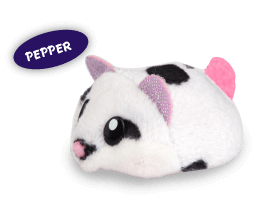 There’s no Hamster that’s better than Pepper. His food is as tasty as can be. 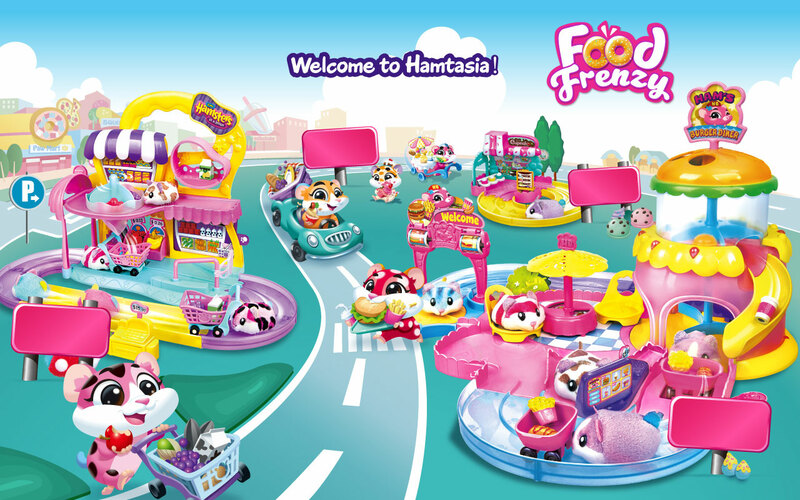 When he’s not serving up delicious HAM-burgers and hot hogs, he can be found zooming around HAM-tasia. Honey’s so funny and her picnic is so yummy. She invites all her friends, who say her treats are sweeter than honey. They’re always HUNGRY to have a nibble and a giggle. 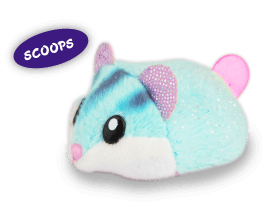 Scoops serves the best ice cream in all of Ham-tasia! Her ice cream is scrumptiously scoop-tastic. 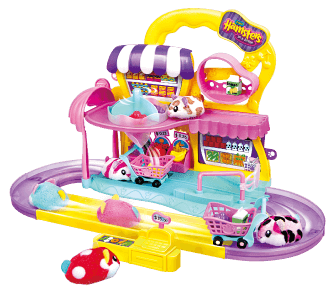 She loves strawberry ice cream, zooming around with her sister Sundae and enjoying an ever so sweet treat. 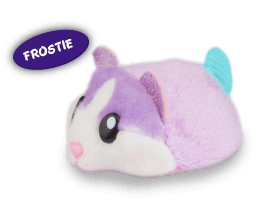 Nibbles and her friends like to have a lot of giggles. They buzz, scoot and scurry without a worry. 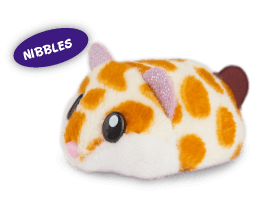 Nibbles has quite the sweet tooth. She loves to have a taste of this and a nibble of that all around HAM-tasia. Swirl is more beautiful than a pearl. 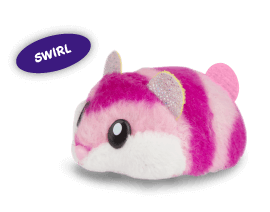 She loves to twirl in her Hamster wheel. 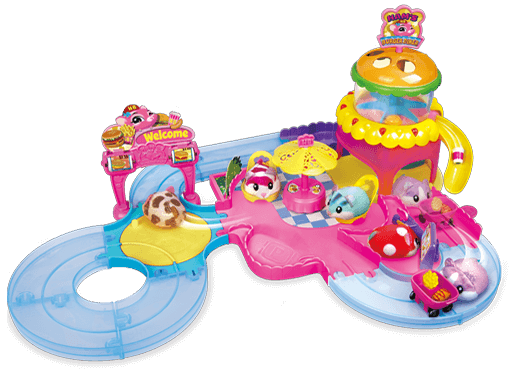 Her Ultimate Hamster House is the best place to stay and play throughout the day. Frostie takes the cake when it comes to baking. She is the best baker in all of Ham-tasia! She loves frosting, glitter and sprinkles. When Frostie isn’t baking, she’s out shopping with all of her Frost-abulous friends. 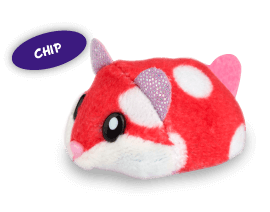 Chip loves to eat chips with his burger, which is how he got his name. You can find Chip selling his delicious goodies everyday. He’s quick as a zip and you don’t have to tip. His food is so good, it’ll make you lick your lips. Crumbs is a master of the grill. His food is so delicious, don’t expect left overs when you’re finished. 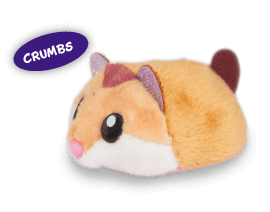 You will only be left with crumbs. 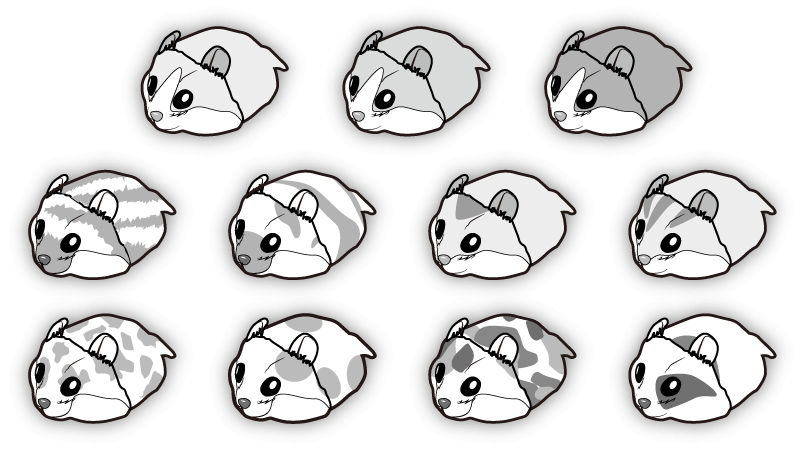 Download the Hamster pictures and colour in your own Hamster. 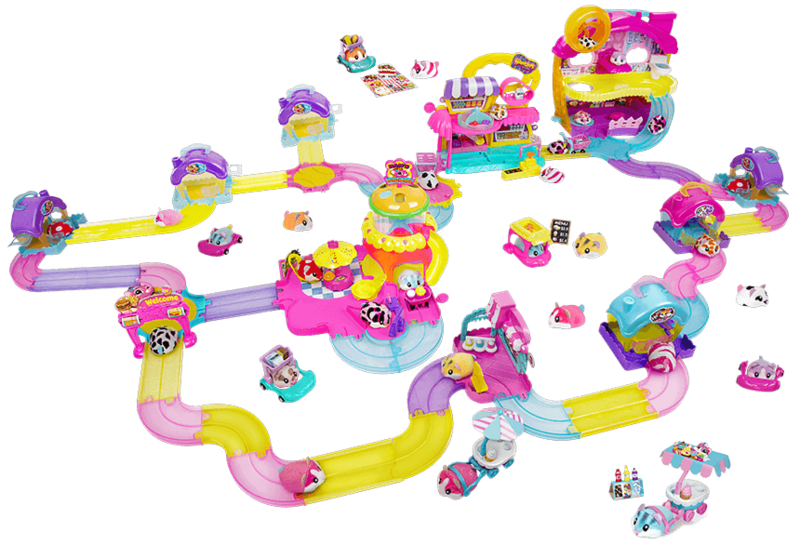 Build, color, and customize your world!